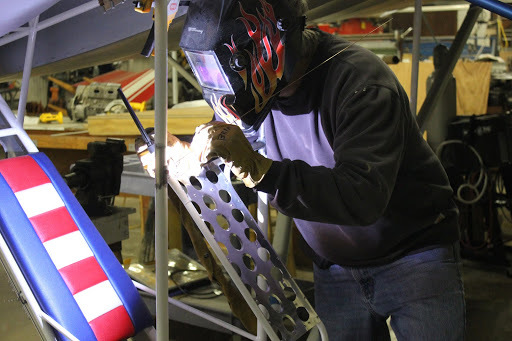 Were going to start by removing the all of the seat cushions so that we don’t inadvertently burned them during the welding process. 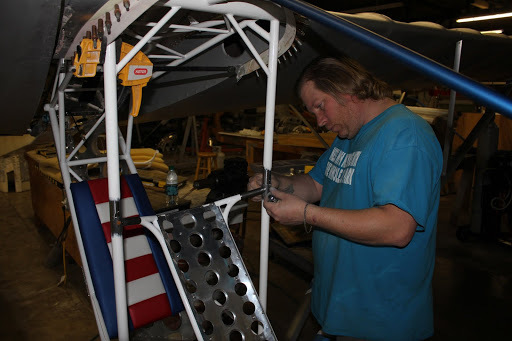 We will then need to remove the seat back from the airplane so we can make some modifications to it. 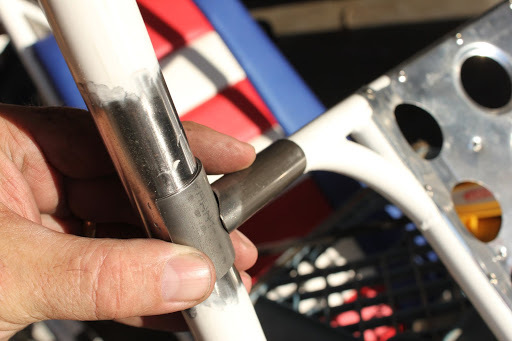 The seats are very simple to remove quick release pins can be used in place of AN bolts. 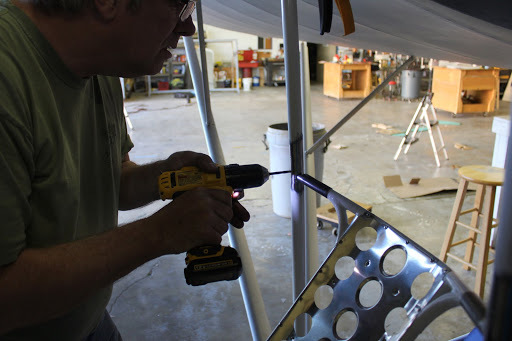 Once we have the seatback removed from the airplane,We will need to cut the old attachment tabs off of the end of each one of the two legs. 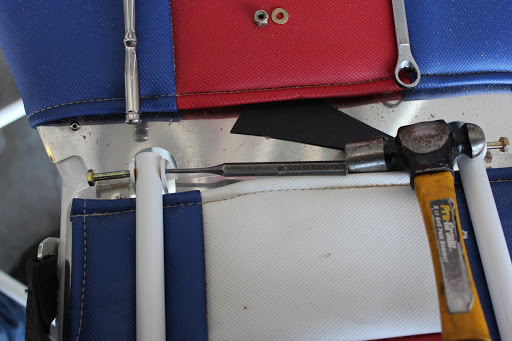 Once the attachment legs have been cut from the seat back we can reinstall it back into the seat hinge brackets. 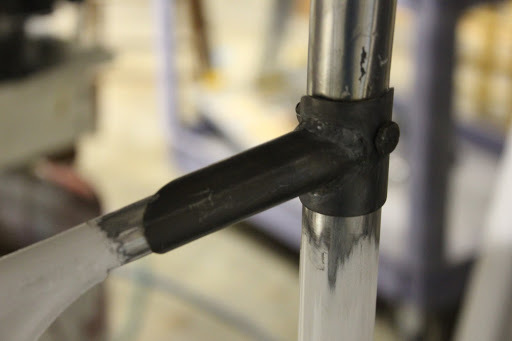 We will be taking a 1.125 tube and cutting in half in order to be able to makeThe new attachment fitting. We will also be splicing into the seat back so we will use a .75×.058 wall piece of scrap tubeing to interface with the cut off end of the seatback to extend it back into place. 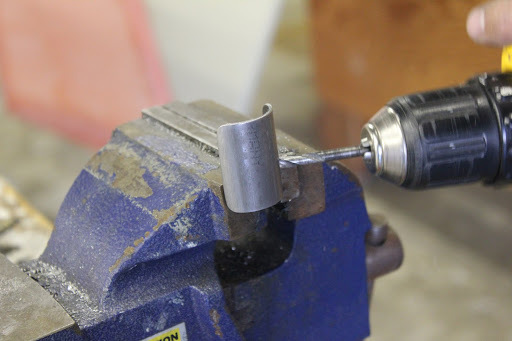 We will interface the .75×.058 wall tube with the new attach tab and grind the tube to fit. 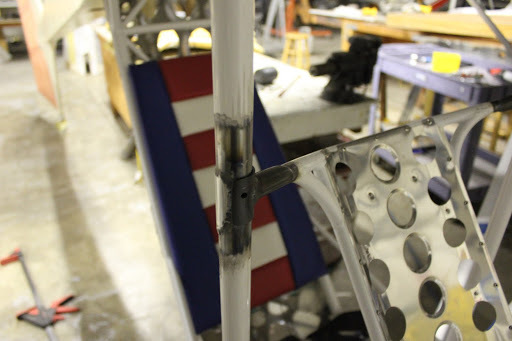 Using the drawings we will place the locking pin by drilling a 3/16 hole through the forward bulkhead in the proper position for the seat fitting. 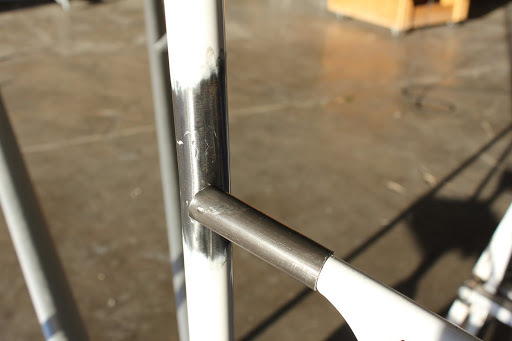 We will also pre-drill the split tube that will be used for the seatback interface. Once we have the sea interface to drilled we will temporarily fasten it to the bulkhead with a 3/16 bolt. 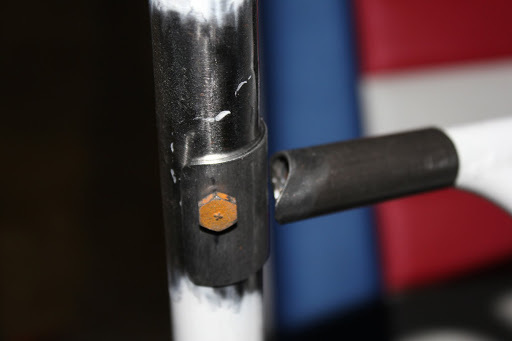 We will bolt both brackets simultaneously to the forward bulkhead and hold them in position with bolts. 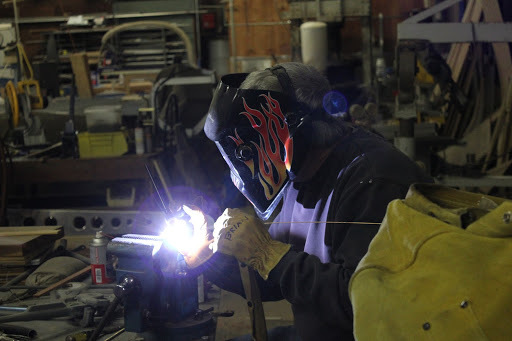 We will now tack weld the .75× .058 tube to the new piece of split tube that will be used as the seatback interface. 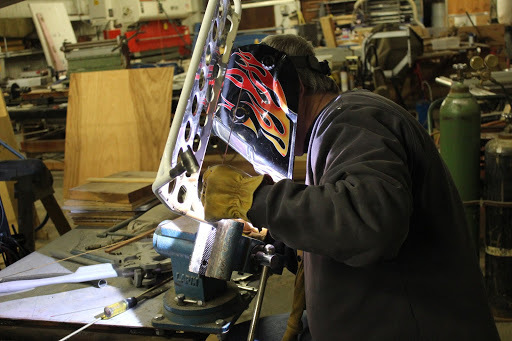 Once we’ve tack welded both sides we will remove them brackets from the seatback to finish the welds on the workbench. 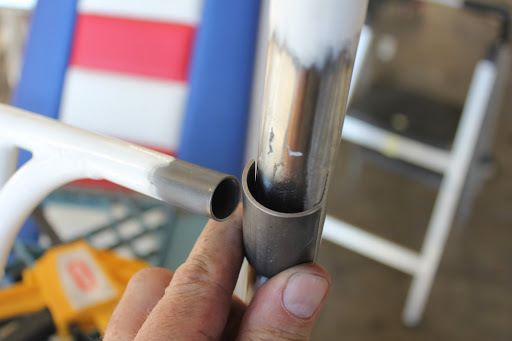 With the new interface fittings welded, we will scarf the extension tube at about a 30° angle reinsert the fittings on to the airframe and bolt them in place so that we can tack weld them. 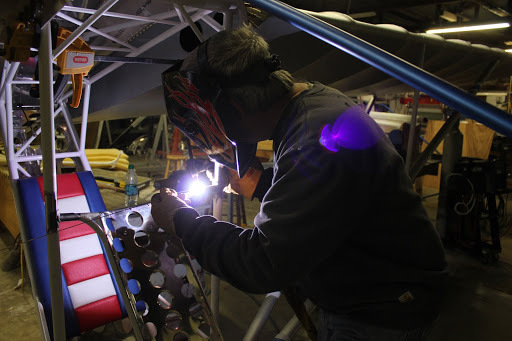 Now we will tack weld both sides of the extension tube to the seatback. 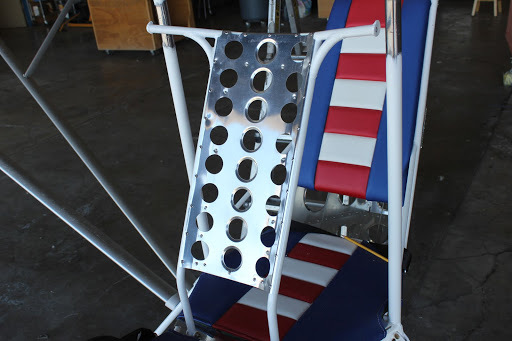 And once we have the extension tubes tack welded in place we can remove the seat back from the airframe and put it on the workbench to finish the welds. 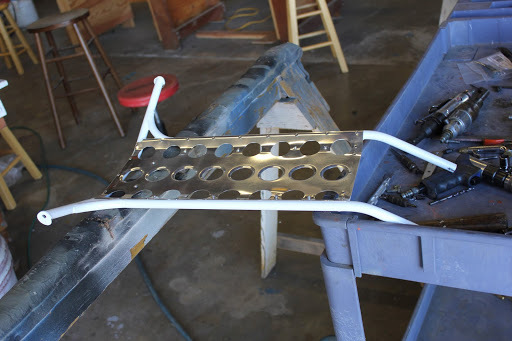 We will now add the reinforcing plate to the backside of the forward bulkhead and tack welded in place and then drill the 3/16 hole through the reinforcing bracket.